Enjoy guaranteed results when you have an experienced Buena Park plumber working on your plumbing needs. Right here in OC Plumbing Pros, you can find plumbers who work with your best interest in mind. Our Buena Park, CA personnel comes fully prepared with everything that may be needed for the repair or installation job, including spare parts, so no time is wasted to get things done. When you call us while the problem is still small, we can cut the costs to the minimum. Our aim is to be as non-invasive as possible. We invest a lot of money not only on giving our technicians further training to hone their craft further, but in the most modern equipment related to their trade. Call us 24/7 at (949) 371-8413. Foolproof Water Heater Installation and Repairs: When your water heater is damaged, you immediately think about buying a new one but it’s recommended that you let us look at your damaged water heater first before you make a decision. You might even save more money this way. For instance, when you buy a new one, it may cost you upwards of $1000 plus installation costs. So, while you may want to entertain the idea of getting a new heater, call us first, and let us see if it is still practical to repair your unit or ditch it for a new one. Maintaining Your Drains to Avoid Bigger Repairs: While the drains are considered important components of plumbing systems, they sometimes end up the least prioritized when it comes to maintenance, and are given attention only when there is already water accumulating in the sink, accompanied by a foul odor. Not only is this an eyesore, it is also unsanitary. Our wire cameras can follow through the drain and find out exactly where the problem is. And what does that imply? We Know A Leak Even If You Don’t See It, and We Repair It, Too! Leaks in pipes that are hidden from view are almost impossible to detect. Then you really have a problem on your hands. Don’t wait for the problem to worsen, call us now and our modern detection tools will be able to pinpoint the leak even without breaking your walls or floors first. For this reason, leaks must not go undetected for too long. When you experience a sudden increase in your water bills, and as far as you know your water consumption is the roughly the same as last month, chances are, there is a leak somewhere. Emergency Plumber Buena Park – Call Us Now! Efficient Re-piping, Garbage Disposal Repair and Installation Services: Building code requirements mandate that you hire licensed professional plumbers to lay down the pipes in your house or office. If you need to install new pipes or reroute old pipes in case of building renovation, we can lay down the plans and send you the blueprint the soonest possible time. To show that in every job we do, we have the full backing of the city. Call on us, too, if you want our skilled plumber to take care of your dysfunctional garbage disposal system, or put in place the unit you have just purchased. Why are we mentioning this? Installing or Repair of Toilet; We have the tools and know how to fix a broken toilet right away. It’s understandable because it’s a dirty job. A damaged seal in your toilet is not just gross, but actually a health issue. This is why you don’t delay right away. Contact us immediately so we can help protect your family from harm. Round The Clock Emergency Services By OC Plumbing Pros: We offer round the clock services because we know we cannot put off a plumbing emergency when it happens at midnight or early in the morning. We recommend that you call us the moment you sense that there is something wrong with the way your plumbing system works, so we can take immediate action before the problem blows out of proportion. Just like in hospitals, emergency cases will be treated accordingly. Plumbing problems are not only inconvenient, they also can cause damage to property and health if left unattended for long. Our Buena Park Plumbers At Your Service Today! 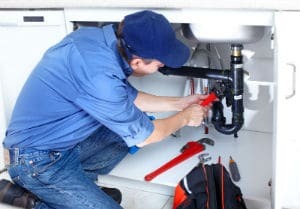 We guarantee an experience like no other when you connect with our plumbers today. We never tolerate mediocrity in everything we do, and especially in the way we deal with our clients. Contact our plumbing contractors at OC Plumbing Pros now so we can get the process going. Call us today at (949) 371-8413!